Rathna Shekar Reddy, is a well-known name in the theatre world of Hyderabad who has also acted in films like Yuddham Sharanam, Naa Bangaru Talli and hosted the TV show Wow Emi Ruchi. He gets talking about his passion for acting and theatre. Pursuing theatre full-time is not a cakewalk, especially when the compensation is very low. It needs passion, commitment, discipline and determination, only someone who has all these qualities can sustain it. Rathna Shekar Reddy, is a well-known name in the theatre world of Hyderabad who has also acted in films like Yuddham Sharanam, Naa Bangaru Talli and hosted the TV show Wow Emi Ruchi. He gets talking about his passion for acting and theatre. 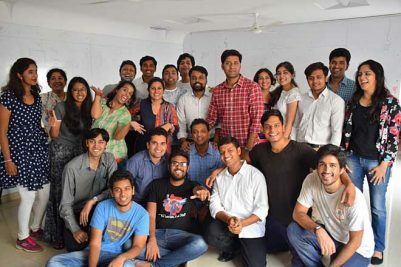 Continuing the story further, he says, “Though I developed an interest in arts in Delhi, I took my first step towards theatre when I met a bunch of like-minded people while studying MBA.” He adds that they all came together to form a theatre group as a part of extracurricular activities and it encouraged him to start writing scripts. Not immediately after his MBA, the actor made his way to theatre. It came to a head when he quit his corporate job post continuing for two months. “I rewound my life to check what has really impressed me in the past few years and I found only theatre and acting,” he shares. This is when he started his journey and decided to pursue masters in theatre arts from University of Hyderabad and moved to New York to get trained as an actor at the Lee Strasberg Theatre and Film Institute. After returning from New York, Shekar started to freelance by conducting workshops and directing plays and figuring out ways to build a career in theatre as Hyderabad had nothing much to offer at that time. “I formed a theatre group and my wife Anjali was also one of the actors in the group. Anjali used to help with ideating, slowly we started to develop original plays. As she was into writing, she wrote Purushotham – He the victim of Spiders & Pressure Cookers,” he shares. The play was picked up by Rutgers, State University of New Jersey as part of their World Theatre curriculum for a few years. With academic exposure of India as well the US, Shekar shares that in New York, artistes pursue it from the age of five which is not the case here. “Though there is lack of awareness and it is not a part of academic structure at school level, at higher level people can consider University of Hyderabad and Osmania University to learn theatre at professional level, apart from National School of Drama (NSD),” he shares. When Rathna Shekar started his theatre career 15 years ago in the city, there were few theatre groups at the time. Recently Ratna and his team did a survey and found that there are 42 active theatre groups in the city. “Out of them, only a few pursue theatre seriously, for the rest, it is a hobby,” he adds. He even shares that theatre is the only performing arts for which audience prefer buying tickets. The theatre personality calls increasing numbers a curse in a way as many theatre groups pursue it as a hobby and if one play does well, the audience might come for the next. If it doesn’t, the owners of the venue may close its doors to others. Although he may have started his career as an actor, he later shifted his focus to direction. 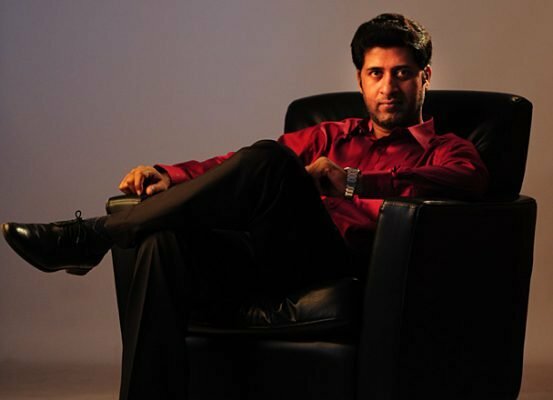 As of now, Rathna Shekar is doing both acting and directing since five years. Sharing why he left acting and the reason behind his return, he says, “Initially acting was my forte, but then I quit performing on stage to work on direction. After gathering enough experience in both areas and understanding that I can do both the roles, I decided to do both.” He says he decides to act on stage when he fails to find the perfect fit for any character in his play. As a theatre artiste who is habituated to working on content-driven productions, he admits that he finds it difficult to find the right script in movies. “It is certainly difficult and I said no to many because they had nothing exciting to offer me. 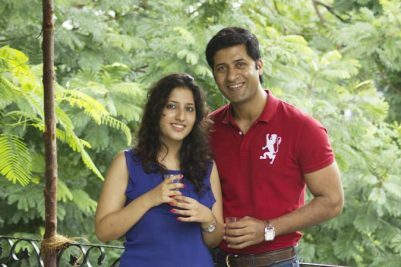 At the same time, in terms of the final product, keeping the director and star cast in mind is also important while choosing a movie.” Ratna Shekar is currently doing a web-series in Hindi, written by his writer wife Anjali Parvati Koda. Being the curator and festival director for the Samahaara Hyderabad Theatre Festival, he says that they continued the theatre festival only for four years. As the aim was to let people know about the theatre groups in Hyderabad, once the purpose was served, they stopped it and started to concentrate on other areas. “Our current project is Samahaara Theatre Co-operative where 10 young actors are chosen and given training and also given opportunities to perform on stage for a year with Samahaara,” he concludes.